Loan Tips KC | LeaderOne Financial specializes in helping homebuyers plan for and purchase their new homes, and existing homeowners refinance their current mortgages. Government Shutdown in Kansas City and your home loan. By now you’ve probably heard the news that the government shut has taken effect and lots of federal employees are stuck at home on an imposed vacation by caused by either the democrats or the republicans (depending on who you voted for.) But we’re not here to talk politics, because this is our mortgage blog, however this little hiatus has caused lots of questions for the home loan world, and it will affect those of us in Lee’s Summit, but maybe just a little bit. So here are the answers to some of the questions we’ve gotten the most today. Can I still get an VA, FHA or USDA loan while the shutdown is going on? Yes, you can still get a VA loan during the while the government is not working. Because the VA is actually not closing down for this event. Yes, You can still get an FHA loan. The FHA has said it’s automated systems and employees will continue to process home loans. No, you will not be able to proceed with your USDA loan. For the short time ahead it looks like the shutdown will stop USDA loans. What does the future hold for the home loan industry. The short answer is currently we don’t know. If the shutdown lasts for quite a while then we will see more impacts due to people not being able to get their tax transcripts and other governmental documents. If the shutdown isn’t very long then we should see smooth sailing. I’ve already started the mortgage process will my home loan still be processed on time? If you have any questions feel free to call us at (816) 268-4025 or you can get pre-approved for a home loan online here: KC Loan Tips Application. Here’s the scoop: Most people know they’ve a credit score these days, and most people know that the higher your credit score rating the better for your home buying. What most individuals do not know is that there are some mistakes that usually accompany a low credit score. So we would want you to take a second and help you understand how your issues are connected. Listed below are only a few of the issues that may have an effect on your credit rather quickly. This looks like a type thing that you would just expect everyone to know, but we get a lot of people who simply don’t know how badly or how rapidly not paying payments can scale back your Credit and your Home Loan scores. To grasp why this happens and why it happens fast you want to have a look at what a mortgage loan is at it is most basic. You’re asking a lender or financial institution to offer you cash to purchase a home, and promising that you’ll pay them back. So a credit rating is basically a score system that shows your ability to make payments on your loan. If your rating is low – the much less possible you’re able to pay the mortgage, conversely the higher your score, the better you’ll most likely be to pay back your loan. So the less you pay your bills in full and on time, the much less the lender will believe you to do the identical with them. These are simply 2 examples that we might see on a credit score score that is pretty low, and we work closely with some people who can certainly assist out clear up some of these issues. Give us a call and ask us any questions you have: (816)268-4025 or visit KC Loan Tips to get more information or to pre-qualify for a Home Mortgage loan. Qualify for Home Loans Kansas City may appear to be a frightening task but it’s actually not a tough process. In reality it’s really very simple to do. The first thing that you will need to do is get pre-approved or (pre-qualified) to your mortgage loan. This is the first step in any home loan process and most realtors will not take you to look for any homes until you’ve got taken this step. A great local lender (like us) may have multiple options so that you can get pre-approved. The simplest method so that you can do it 24/7 is to surf on over to our web site the place you’ll be able to fill out a pre-approval online in a secure and safe environment. 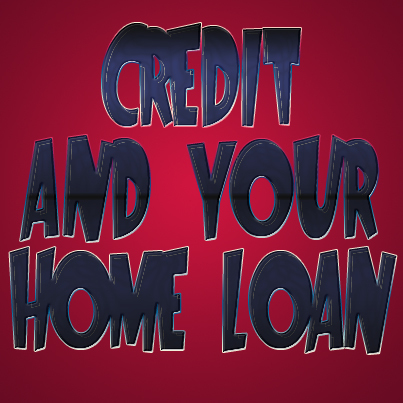 Click on here: KC Loan Tips Application. Or if you happen to not be a fan of the internet you can always call us at (816)268-4025, (Monday – Friday 9AM-4:30PM). 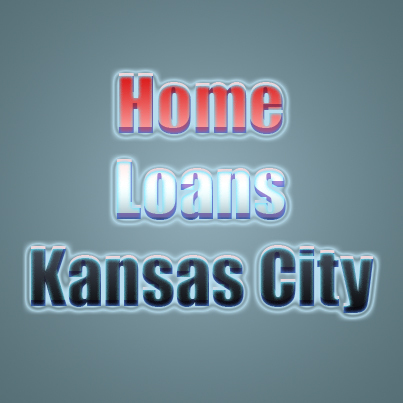 Once you have taken that step you are effectively in your way to Qualify for home Loans Kansas City. The following step will be to bring over to us some documentation of what you’ve got said in your pre-approval process. We’ll want copies of your W-2’s, your financial institution statements and a number of other other documents so we can confirm your information and take a look at any potential red flags in your mortgage process. Take into account there are minimum credit score scores that you will have to satisfy to qualify on your mortgage loan. That is a reasonably quick view of the process of and there’s more to it that you simply in all probability won’t ever know about (but we’ll pull the curtain back just for you!) Once all your documents have been turned in and we’ve accomplished some work organizing the paperwork we’ll send them to underwriting and order an appraisal on the home you wish to purchase. Finally as soon as all of that comes back in we’ll let you understand when you’re Clear to Close and you’ll begin picking your closing date! Through the years we’ve been helping to get people into their dream houses we’ve had a number of folks ask about ideas or methods to come up with their down payment. It is something that people stress over, they’ve heard the steep 20% down payment on conventional loans but they might not know that there are other options accessible to them that would make their down payment smaller or even, in some instances disappear fully! To get started on this process you’ll need to get pre-approved online or by calling us at (816)268-4025. This means that you will not have a down payment to purchase your home. The second no down payment option is the USDA mortgage; The USDA home loan does have some restrictions – your home should be in a rural region according to the USDA site and you’ll have to be under the USDA’s income guidelines. Each of these loans are 100% financing which lets you know that they’re great mortgage loan choices while you’re looking for that new home. For those who don’t qualify for these loans then you should take a look at FHA mortgage loan that’s means a small down payment of 3% to 3.5%. Should you have any questions or need to bounce an thought off us please don’t hesitate to call us (816)268-4025 or e-mail us. As always step one in house shopping is to get pre-approved online or call us and get pre-approved today! We love, and yes, we mean love working with 1st time Homebuyers so if this is your 1st go around in the mortgage process…..Congratulations, but we know asking for Help for First Time Home Buyers can be intimidating, so we thought we’d just give you a bit of information. 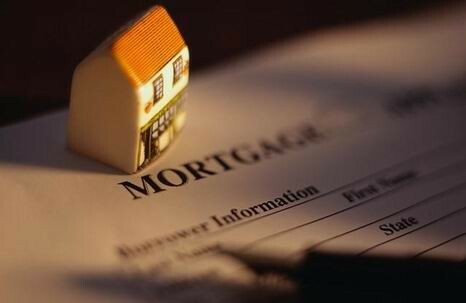 The Mortgage Process sounds very trying when you first hear all the steps you have to work through, there are easy parts and there are pitfalls and there mountains to climb, but the entire process should be an educational process more than anything. I want you to have a great experience as you’re purchasing a your first home, or any other future home purchase! Once you have an accepted offer then you’ll go through the process of inspections, appraisal, etc. In a nutshell…We want to get you approved and walk you through the rest so you know exactly what’s going on and what to expect at every twist and turn! As usual you can call us with any questions (816)268-4025 and we can pre-approve you in that same phone call or you can get pre-approved online! What Home Loan Is Right for Me? In this blog we’re going to answer the question: What home loan is right for me? FHA – requires 3.5% down payment & has PMI for the life of the loan. VA – 100% financed (no down payment) and must be an active-duty military serviceman or woman/veteran/qualifying spouse of a deceased veteran. USDA – 100% financed (no down payment) and must meet income restrictions and location eligibility requirements. What location you’re buying in. We love to help people make this kind of decision, because frankly there’s nothing better than making people’s dreams of owning their own home come true. That’s why we’re in the home loan business, we love helping people. So if you’re still not sure which home loan is right for you give us a call at (816)268-4025 or start the process of pre-approval online by following this link. One of the things that I enjoy most about my job in the mortgage loan industry is that I get to see the smiling faces of people who have just realized their dreams are coming true! I love go to closings and watch how people’s hands cramp up because they have to sign their names so many times, but at the end they are just beaming because they now have a place to call their own! To begin the process you should really get pre-approved for a home loan by calling us at (816)268-4025 or you can get pre-approved online. It’s no wonder why it’s so motivating for me to try to get as many people into their homes. If you’re looking for a home to purchase there’s no better time than now to get Lees Summit Mortgage Loans. There are so many options available to us to help you get into a new home. Because there are so many options here’s a list that will show you what kind of loan might be best for you! A conventional loan is great if you have a good savings account going because you’ll need to put down 20% as a down payment. So let’s say you want to buy a $100,000 house, if you’re planning to go with a conventional mortgage then you’ll need to put down at least $20,000. An FHA home loan is a great option if you’re a first time homebuyer and looking to make that first purchase. With an FHA loan you only need to put down a down payment of 3.5%. so in the example we used for the conventional loan ($100,000 house) means you’ll only need to put down $3,500) however you’ll have to have PMI, which is a monthly mortgage insurance. A USDA mortgage loan is a great option if you’re looking to move into a rural area. The USDA home loan program is 100% financed (which means no down payment is necessary) however there are strict rules about your income and the locations that are eligible for you to get loan. Finally, if you’re a Veteran or active-duty military member you might be eligible for a VA Home Loan. The VA mortgage program is also 100% financing (So there’s no down payment) you must be able to prove your service times and eligibility and there’s no PMI (Monthly Mortgage Insurance.) It’s a great program to get involved in. We love to see those smiles – so why don’t you get pre-approved with us today either online here or by calling (816)268-4025.